About us | Hitelpont Zrt. 10th anniversary of Hitelpont Zrt. Hitelpont Zrt. has become one of the most successful financial companies that provide European Union funding to Hungarian businesses. Our principal task is to provide access to repayable EU assistance (loan) to companies, fostering the development of the Hungarian economy. The mission of Hitelpont Zrt. is to improve the market position of Hungarian small companies by providing them loans subsidised by the European Union. We believe that small companies achieve the greatest changes, so our colleagues have specialised in the needs of the SME sector. We have helped over 800 corporate clients grow. We pay attention to our clients, tracking their growth and sharing in their success. We place great importance on personal communication. We regard our clients as long-term partners. During the growth of the company we are glad to assist with favourable loans, even several times. Is Hitelpont Zrt. a loan broker or an information service? No. Hitelpont Zrt. is a financial company, meaning that we provide loans to our clients. We serve our own clients, from a financial fund supported by the European Union. This means that Hitelpont Zrt. 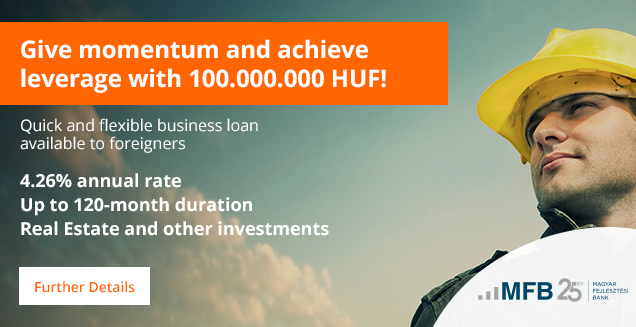 receives loans directly from the European Union, which it disburses to Hungarian companies. The loan agreement is signed between Hitelpont Zrt. and the client. Is Hitelpont Zrt. a bank? Similar, but no. The key difference with respect to banks is that Hitelpont Zrt. can provide loans, but may not collect deposits. Similarly to the largest banks, we, too, are regulated and controlled by the Supervisory Body of the Hungarian National Bank. How does Hitelpont Zrt. transfer EU funding to me? MV – Hungarian Business Development Plc. What is the vision of Hitelpont Zrt.? We strengthen Hungarian small companies and assist their entry to the market. During the 2014-2020 EU financial period assistance will increasingly be provided in the form of repayable assistance, that is, loans. The role of Hitelpont Zrt. will continue to increase in this distribution, so we hope that in the future we can also offer several new products from which our clients can choose the one that suits them best.